I believe that it is of the utmost importance to be able to think critically about the things we like, to not let the fact that we are a fan of something cloud our judgement about the thing itself and any pitfalls it may possess. This means that we should allow ourselves to recognize a flaw and critique a part of something rather than ignoring it or pretending like it doesn’t exist simply because we like the whole. Being a critical fan, someone who is able to balance themselves between critiquing these flaws while still enjoying the positive aspects, is important for various reasons. The main reason, in my opinion, is that it helps us to be reasonable, critical thinkers while still allowing for us to appreciate something. This leaves our minds open to discussions about the controversial aspects of a thing without taking offense to someone criticizing one or multiple aspects of that thing. Overall it creates a more open dialog between people during discussions and leads to sharing opinions in a positive way rather than a negative way. [R]emember that it is both possible (and even necessary) to simultaneously enjoy media while also being critical of it’s more problematic or pernicious aspects. The key point of being a critical fan is so that you can love something but at the same time know that it’s totally okay, and even necessary in some cases, to be able to view any problems associated with it. 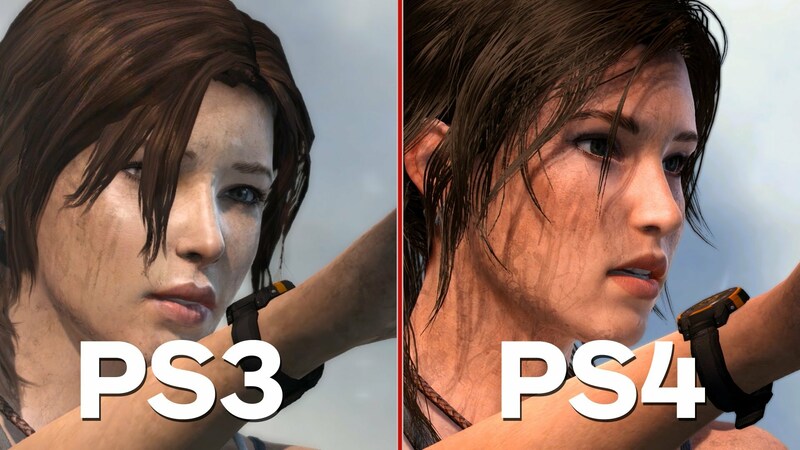 For example: I am a huge Tomb Raider fan and I love the series with all my heart, but I think that changing Lara Croft’s face in Tomb Raider: Definitive Edition, the remake of 2013’s Tomb Raider reboot for new gen consoles, was absolutely obnoxious. Due to its general insignificance to the character and game as a whole, it was a poor development/artistic decision in my opinion. There is a difference between simply updating the graphics/resolution and changing the face of a character completely. That doesn’t mean that I think the game is bad, or that Crystal Dynamics is a terrible development studio for making the choice. I can enjoy the game while still being critical of the face change between two versions of the same game, which is an example of me being a critical fan. I am typically critical of games for their sexist content and I tend to be very vocal about my thoughts and opinions on the matter, as I’m sure some of you have noticed. There is a disconnect between my thoughts and the people reading them though, which leads to a great deal of confusion on their part and a sense of aggression towards me for having the thoughts at all. I’ve come to the conclusion that it’s not about these people being sexist themselves, as I originally thought, it’s about them failing to understand the importance of being a critical fan and recognizing that I myself am able to be critical of a game yet still enjoy it. To them, I’m just complaining about a game they liked for something they didn’t notice or care about; they think I am being overly critical of a good game and that I should just enjoy the game as they did without “over thinking” it. One person even went out of their way to tell me to “stop bitching about stupid crap and enjoy the damn game”. That kind of dialog between gamers and developers would be so beneficial in the long run and solve a lot of issues, not just sexism or diversity. Instead people choose to ignore these problems because the game was fun, lambasting those who try to speak out, which has mostly been my experience since I began to discuss the serious issues (sexism or inclusivity in regards to diversity, for example) more openly. What encouraged me to write this article was my taking notice of people’s reactions to the recent criticism of Ubisoft for not including female or racially diverse characters in their most recent Assassin’s Creed title, Assassin’s Creed Unity. I wrote an article about my opinion on the diversity in gaming issue and happened to mention the Ubisoft debacle as a mere example of my main point – the lack of diversity in video games – due to its prominence in the community at the time. Many of the negative responses I received seemed to center around Ubisoft instead of the diversity issue as whole; I mentioned other games as well and made it clear that this in not simply a Ubisoft problem – it’s a video game problem. It seems my overall point fell on deaf ears because I started the article by criticizing Ubisoft. Most of the backlash stemmed from fans of the Assassin’s Creed series and these individuals seemed to take my mention of the Ubisoft issue as an attack on the company and/or Assassin’s Creed game series. To them, I was being overly critical of a game series they love and they couldn’t see that I was merely stating my personal opinion and trying to bring light to a larger issue – not attack the game series or development team in any way. 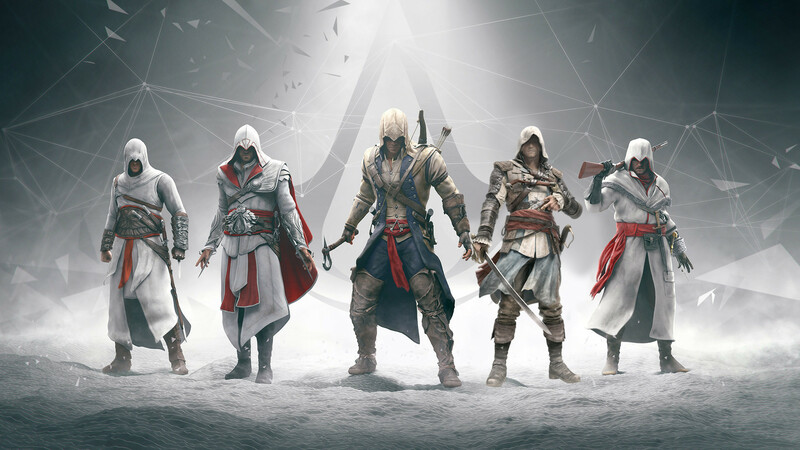 Here’s the problem: people are under the impression that because they are fans of the Assassin’s Creed series that they can’t think the lack of diversity is a problem because that means they would have to criticize a series they love. The solution? Simple: It’s perfectly fine to love the series yet still find the lack of diversity to be an issue. That is what being a critical fan is about. It has come to my attention that people generally don’t understand what it means to be a critical fan, which is a shame. In order to grow as a community we need to stop being blind to cultural issues simply because we like a game or series. I’ve been personally criticized for bringing up the sexist aspects of games like Metro: Last Light, for example, due to people thinking that because I found these aspects offensive that I am implying the game is in some way not worth playing or bad as a whole. I liked the game for a lot of reasons, mainly because it had a good story and was fun to play, but I simply found some parts of the game to be offensive and unnecessary. See how easy that was? Just because a game has some features that offended me doesn’t mean I hate the game or that I think it was poorly made, that would be just as blind as loving a game while ignoring its faults. Being a critical fan means finding the perfect balance between liking something yet still being able to see its more problematic aspects. It’s not about liking something so much that it can do no wrong or about disliking something so much that it can do no good. The more we comprehend this concept, the better off we will be through the open-mindedness that comes with this line of thinking. I say this because I personally find it extremely important to be a critical fan, to love a game for its strengths and criticize it for the flaws at the same time with the end goal of bringing about awareness and improving video games. By doing this we broaden our understanding of various cultural issues including those involved with sexism and diversity, as well as many others. Games do not exist in a vacuum and while some seem to think we are better off ignoring these issues because “it’s just a game” or “the game was fun and well liked”, I feel quite the opposite is true. I’ve said many times that games reflect the culture we and others live in and because of that we need to learn to be critical of aspects that further perpetuate harmful stereotypes or offensive notions. I don’t know about you, but video games mean a lot to me and I view them as more than “just a game”, to me they are an art form like any other media outlet, such as television or film, and shouldn’t be ignored or allowed to be deliberately offensive, just as other outlets aren’t. As long as I play games I will always consider myself to be a critical fan because that is how I personally become more involved with games as well as cultural issues. Also, let’s be honest, the Mass Effect series was great but the Hammerhead was a useless pile of garbage. You see, being a critical fan is as easy as that. I agree. It seems difficult for many, but it is important to be able to enjoy something subjectively and to try to view it objectively as well. Games, like books, music, movies, etc., are both a product of our culture and our culture itself. Even if you loved playing it, denying that your favorite game further feeds into a culture of sexism is ignorance at its worst. The problem isn’t the very small minority of actually and outwardly sexist people. Instead, it’s the many, many, many of us who tacitly consent to sexism by not questioning the experience of their media as anything other than a steady drip of hedons. LadyCroft once again says perfectly what 4 of us would have fumbled up. I think your assessment is spot on. Most gamers I deal with do NOT think of games critically and they’re quite awkward in the face of controversial game themes. It feels all too familiar – we do this with other things in our society too, this desire to just “move on” and not discuss anything terrible for fear that we may have taken part in it’s doing some how. There’s literally a contingent of people out there who want us to forget the bad, celebrate the good, and pretend that nothing or no one was harmed. That’s the surest way to NOT get good games. Or good anything. Thanks! I totally agree, it think it’s too easy for these people to not think about the bad and just pretend it never happened rather than simply speaking out against it for the greater good. The more we encourage people to think critically about the media, video games included, the better off the media (and ourselves) will be. I have come across a lot of people, including my best friends, who are very casual about this sort of thing. So when I mention something I found sexist in a game (for instance), they might think I’m being too much of a feminist and lose interest in what I’m saying. It’s really sad to me. I totally agree with you that the point of thoughtful criticism is not to be negative in general or hate on a game. It’s actually to help games improve. And we shouldn’t let flaws or stereotypes continue “on accident” because some people don’t notice them. It’s good to be aware and to help make others aware, in a positive way whenever possible. Thank you! On of my main inspirations for writing this article was that exact type of situation that you described, as it happens so often to many of us. Some people think that being a fan or liking something means that you cannot have any criticisms of the problematic aspects that thing may have. It’s so important to point these negative things out though and we can still be fans while doing it. You’ve very correct, bringing attention to the problems only helps to improve things down the line. Ignoring it or letting it be because the rest of the product is good is just counterproductive.